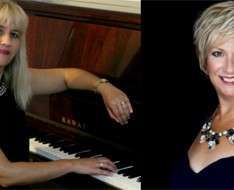 Join pianist Ivelina Ruseva in a delightful recital of well-loved classics and later some classical and modern Christmas songs and carols from soprano Tina Chester. Enjoy freshly-brewed coffee (or tea, or juice) and delicious home-made traditional Cypriot cake in the interval. Please join us after the concert for a seasonal celebration with home-made mince pies, made to a British recipe, together with German Gluhwein, (with an alcohol-free alternative) freshly made on the premises.